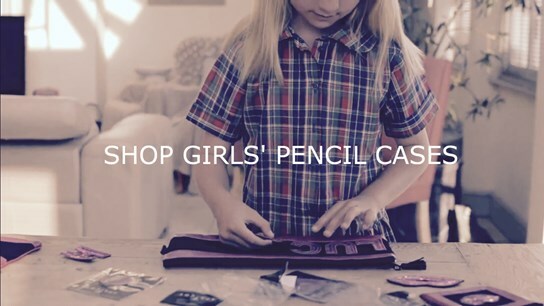 Today, the Apatchy pencil case is something of an icon, kickstarting our small business into the flourishing brand that it is now. So what's better than creating a homage page to the little piece of desk candy that is sure to revolutionise the classroom?! With a true range of styles that vary from the pinktastic collection to the tarpaulin collection, we have a pencil case to suit every child, and our vast assortment of sports patches and sequin symbols complete the personalised gift that is an instant win amongst all children - from the football hooligan to the teacher's pet!